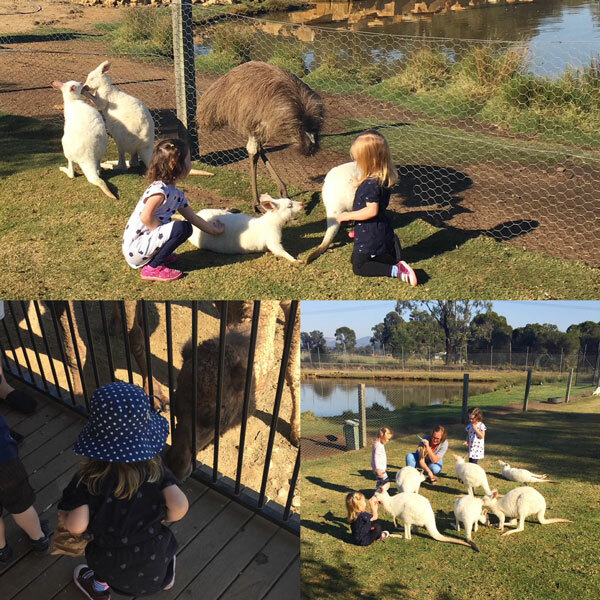 There’s no doubt kids love to interact with animals and we’re lucky to have some great zoos, wildlife parks and farms not too far from the Hills! Here’s our list. 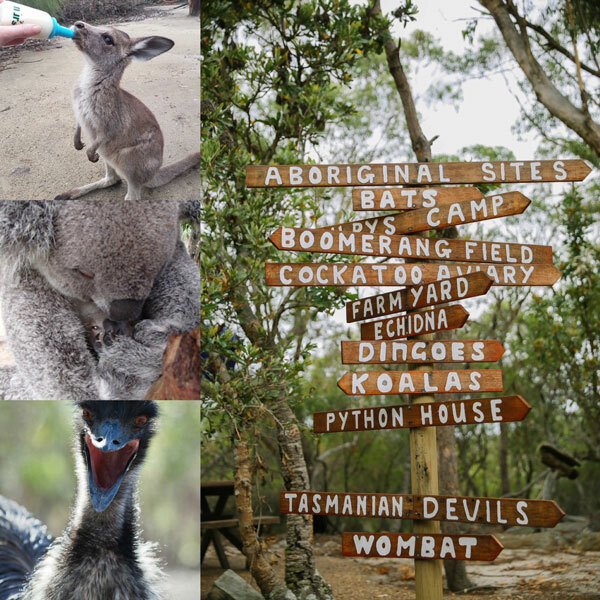 Featherdale Wildlife Park is a great spot for little ones and isn’t far from the Hills at all! It’s not huge so you can easily spend just a couple of hours and cover it all, or go at a more leisurely pace and make a day of it. It’s nice and flat which makes pushing a stroller simple and is also good for small legs! There’s shade and some picnic tables too so you can stop for a break. The cafe also has refreshments and coffee if you don’t want to lug it all with you. 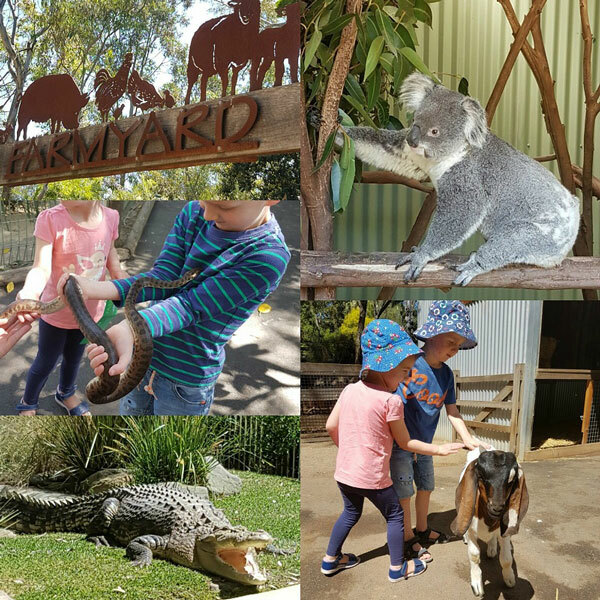 There’s a wide array of animals to see including native creatures and also a farmyard area. There are also zookeeper talks on throughout the day too. Our kids loved collecting the stamps as we went around as well – a nice touch! And in school holidays they do special activities such as the zookeeper for a day program. 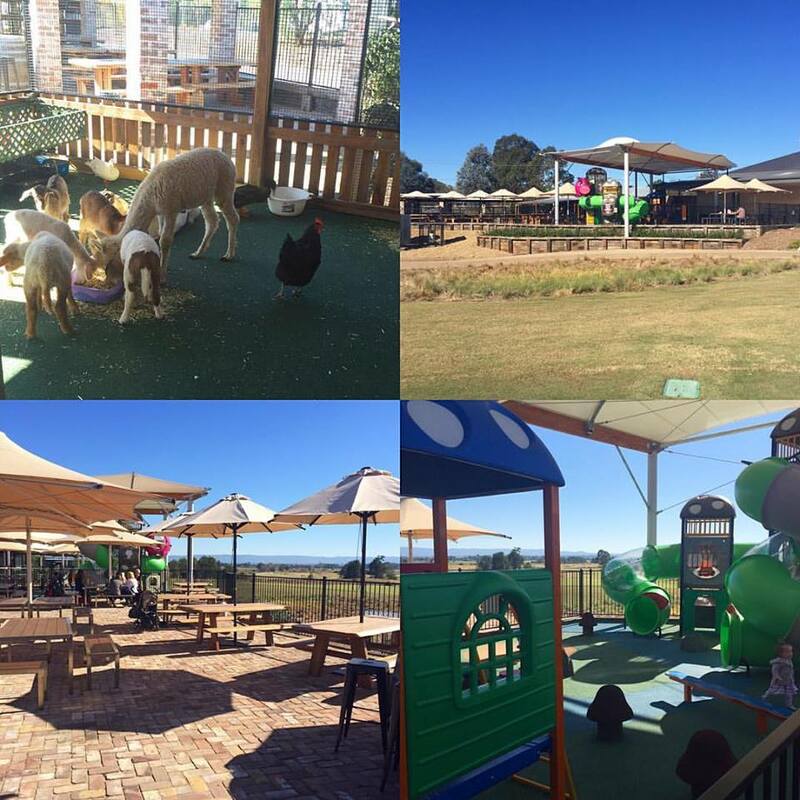 We remember visiting Golden Ridge Animal Farm on a primary school excursion a thousand years ago! It was such a great hands-on experience and continues to be to this day. 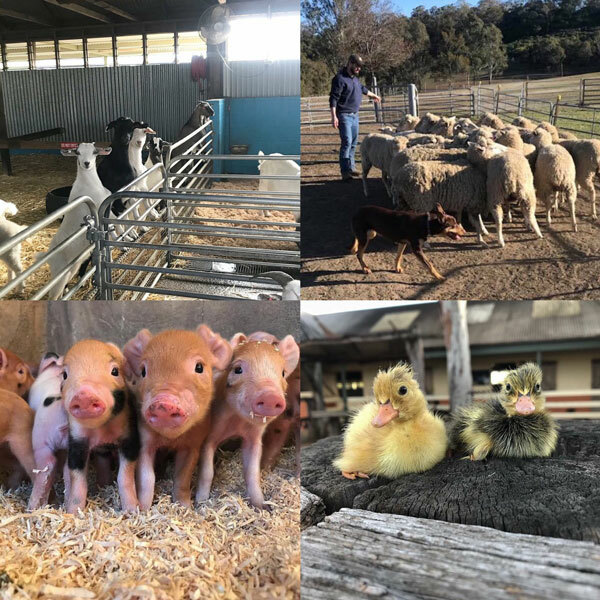 This is an excellent way to introduce your small kids to animals as they can get up close and personal with them by bottle-feeding lambs, holding ducklings, feeding goats and more. There are start times as you’re taken around the farm by staff, so you need to be on time and have booked (tour times on their website). You can make a day of it and bring lunch to have in the picnic area at the end of your visit. They also run ‘be a farmer for the day’ events and host kids parties too! 686 Old Northern Road, Dural. Farm entry is via Wyoming Road. Let’s face it, this is surely one of the greatest, most spectacular zoos in the world and we’re so fortunate to have it in our city. 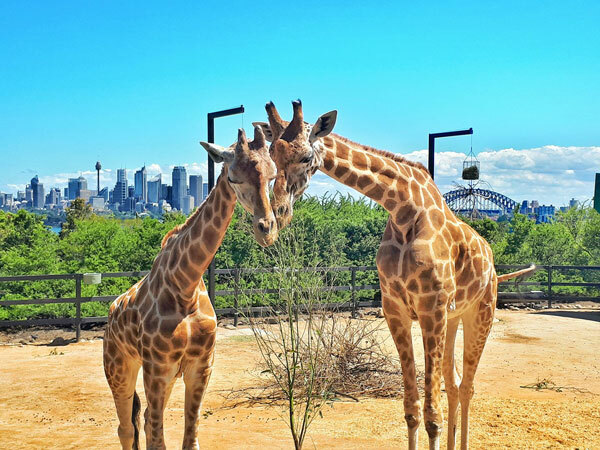 Sure, it’s not cheap, but if you can save up or put it on a Christmas wish list from grandparents or similar, a visit to Taronga is pretty darn special. But buckle up, because it’s a full on day out for everyone and you’re guaranteed tired kids at the end of it. But they’ll have had the greatest day out that they’ll talk about for weeks or months! If you have pram-aged kids, take the pram. Take water and food/snacks too. If it’s hot, take sunscreen and hats. If you plan to spend the whole day, don’t do it alone. Take hubby/partner or grandparents etc. In the warmer months, be prepared for water play. There’s a little water area that kids love splashing in. We always take a change of clothes and a towel. Give some thought to parking and even take a look at the zoo map and talk times/shows on the website prior to visiting so you have a vague idea of where you’re going and what you’re doing when. It is VAST! 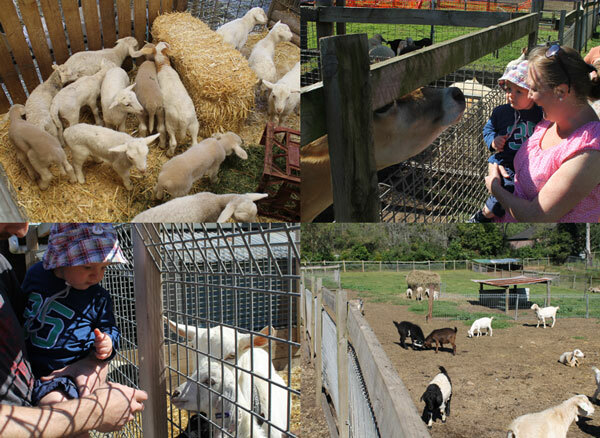 Previously Fairfield City Farm, this is a great spot for little ones to get face to face with farm animals. It’s easy to stroll around with toddlers and prams and has a great array of animals, small and large. There are lots of farm-focussed activities such as the working dog show, sheep shearing and cow milking. Kids also love the tractor ride which happens once in the morning and once in the afternoon. This is another great option for kids, with lots of native animals they can check out up close that they may not have seen in person before. We visited a while back mid week and it was nice and quiet and we could stroll around easily with a pram. We took a picnic lunch but did have to deal with a seriously in-your-face emu named Happy Feet who was very keen on our ham sandwiches – made it a little difficult to focus on breast-feeding a baby! His excuse is that he was hand-raised and thinks he’s a human! There are lots of free roaming animals which is fun, as well as ranger-led activities on throughout the day which enable kids to get up close with a wide array of animals. 1 Darkinjung Road, cnr Peats Ridge Road, Calga. We weren’t familiar with Symbio Wildlife Park until Gomez the pigmy marmoset and two of his mates were stolen from the park a while back. Good publicity we think! We finally made it there just recently and loved it! Depends exactly where in the Hills you’re coming from but it took us about an hour and 20 minutes each way. It’s a great sized park for all ages and is really easy to get around, with paths and nice flat areas. There are picnic tables to have a rest and lots of keeper talks as well. It’s really well maintained and clean. The meercats are always awesome and we loved the pigmy marmosets too! The farmyard area is excellent as well, and who doesn’t love a llama?! We highly recommend if your kids can handle a slightly longer drive. 7/11 Lawrence Hargrave Drive, Helensburgh. We will admit that reptiles freak us out completely, so we sent the husband for a day out with the kids to this park! If you have a snake, lizard or spider lover, this is the place for them… apparently! It’s a fairly short drive up the M1 and you’re probably familiar with Ploddy the dinosaur, visible on the mountain top before the Gosford exit. 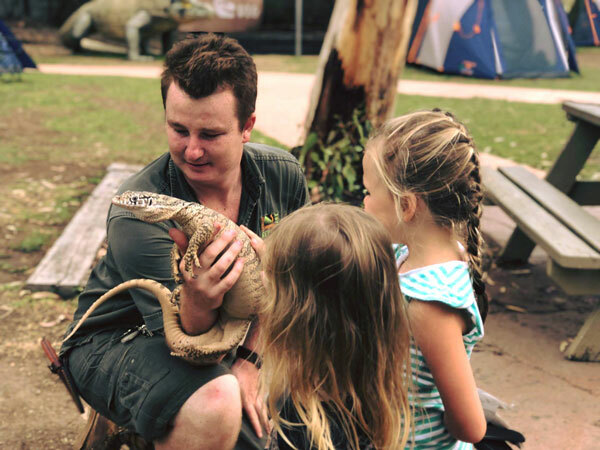 The park is home to exotic reptiles from around the world and a wide variety of Australian native animals. There are live shows, themed exhibits and behind the scenes tours available. It’s also the only zoo in Australia committed to saving lives with a spider and snake Venom-Milking Program in place. Lot 69. Pacific Hwy, Somersby. Ok, so this is more for those who are looking for a small taste of animals but the main priority is a good meal and drinks! We love Lynwood Country Club. It’s a great space for adults and kids alike. There’s a fantastic playground area and kids can meet farm animals at between 11.30am and 3.30pm on Sundays. 4 Pitt Town Bottoms Road, Pitt Town. Nancy’s Freedom Farm is located in Arcadia. Nancy’s chooks lay amazing eggs and you can take your kids to collect eggs straight from the chicken coop. Let your kids explore the yard that’s home to goats and chickens. And at the right time or year you can pat the baby animals. 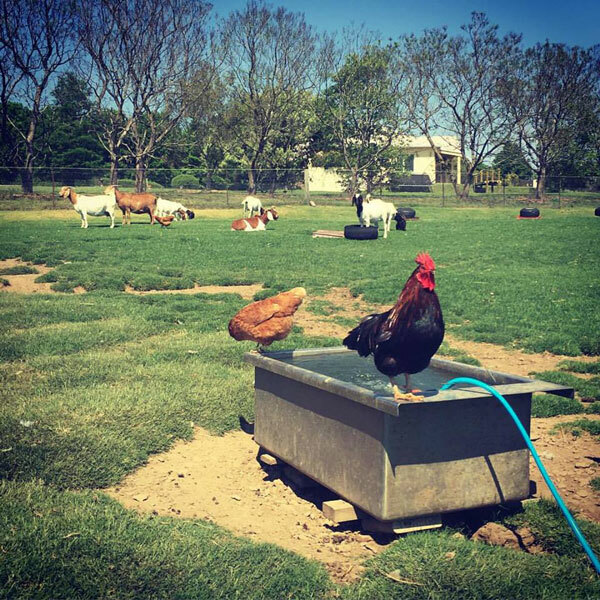 Make sure you take your gumboots and some money to purchase some fresh eggs at the end of your visit. Be sure to give Nancy a call before you visit to check she’ll be there. Mogo Zoo is a few hours south of Sydney and what’s fantastic about this zoo, particularly for really small kids, is how close you can get to the animals without the elbow jostle you often face at larger zoos. Also, you can happily let your toddler wander ahead of you as there’s only one way in and one way out, and you can see them really well. (It may be a little harder in summer time if it’s busier). There are some stunning animals at Mogo including the white lions, a snow leopard and two white rhinos. The array of primates at Mogo is incredible and includes gorillas, gibbons and pigmy marmosets which have to be seen to be believed! They’re the smallest monkey in the world, about the size of a rat. Another highlight (for an additional $10) is to feed the giraffes. You can also feed the lovely deer and there are a range of animal encounters which would be very special too … we saw two ladies in with the meerkats when we visited – the little critters were scampering and running all over and around them! So if you’re thinking of a mini break away over the coming months, heading south and making Mogo Zoo a part of your trip would be great. We stayed about 20 minutes from the zoo. There are lots of accommodation options and some lovely beaches as well – it’s a beautiful part of New South Wales. You can read more about our visit here. 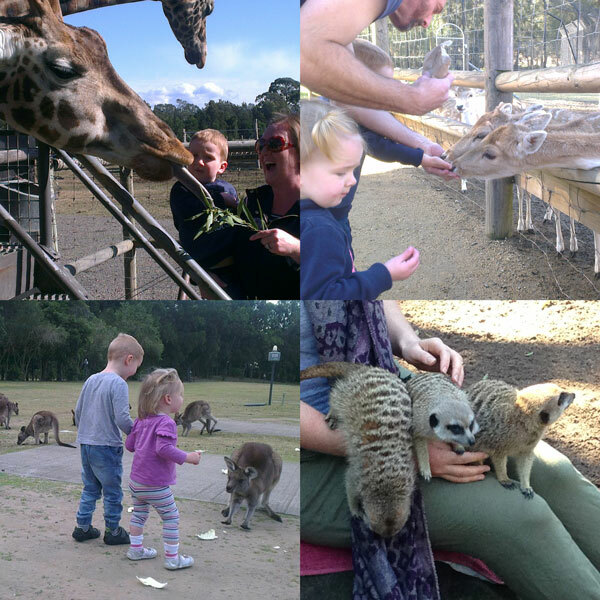 We visited the Hunter Valley Zoo as a bit of an afterthought on a weekend away, but wow were we glad we did! We loved it! Again, it’s a smaller zoo which is good for smaller kids. It’s nice and flat and easy to get around. 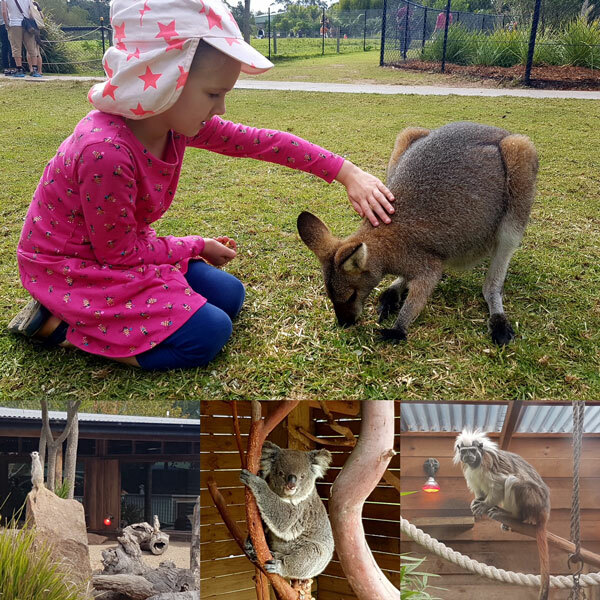 We particularly loved the area with the roaming kangaroos – magic for the little ones! And the lions were so close it was very impressive! So if you’re away in the Hunter with kids this is definitely a worthwhile excursion. 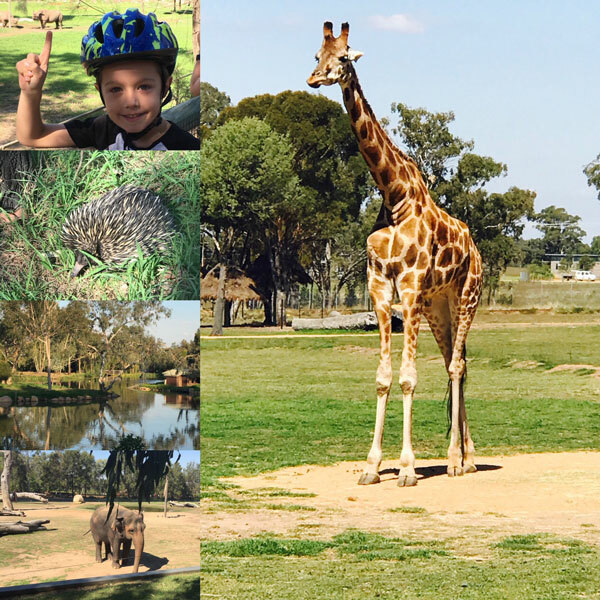 Commonly known as Dubbo Zoo, this is another spectacular zoo to visit on a family road trip. 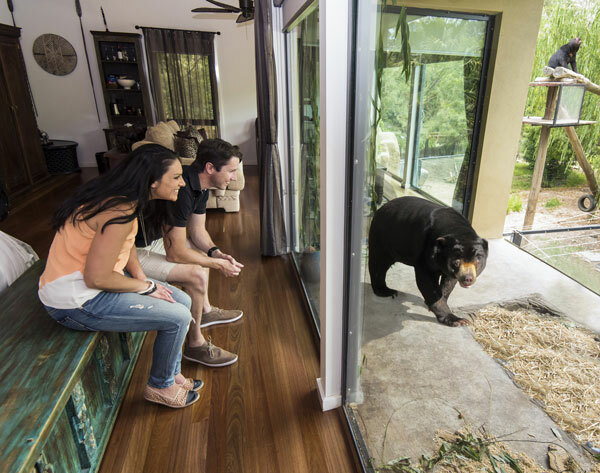 This is far from your average zoo and is home to hundreds of animals from around the world. It’s as close to a safari as you can get without leaving Australia. You can explore the zoo by car, bike, electric cart or on foot. If you’re with kids (and even if you’re not) it’s worth doing this by bike and/or electric cart, even just for the novelty factor! The zoo features a 6km one-way circuit, with animal exhibits and picnic grounds situated along the way. Most exhibits can be seen from the road, but a few require you to walk a short distance. Make a note of the animal feeding times and it’s worth booking if you do want to feed the giraffes. You can also stay on site for an extra special experience but there are various accommodation options available nearby too. Two days at the zoo is commonly suggested to avoid a mad rush or missing anything. This one is on our bucket list because, as well as an array of beautiful animals, you can actually stay overnight here at the Jamala Wildlife Lodge, however there’s not so much patting of animals going on for obvious reasons! If you sleep in a Jungle Bungalow room there will only be a glass wall separating you and one of their beautiful animals (make sure you check age limits when book as young kids can’t stay with some of the animals). There are other accommodation options too – check out their website for full details. 999 Lady Denman Drive, Canberra.